The myth of the Hypno-doll concerns a mysterious doll which came to life and escaped a toy factory in Germany. 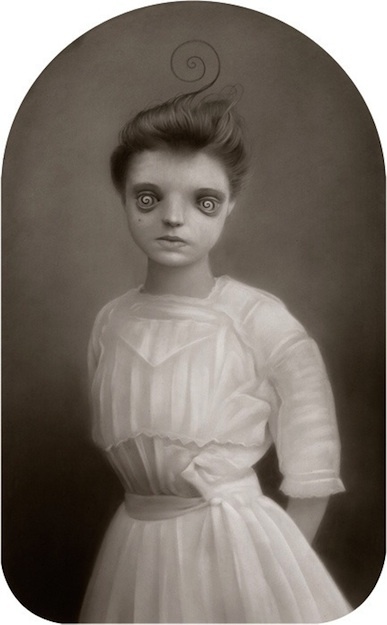 The doll wanted so badly to be human that it willed itself to be. Despite her miniature stature at just under a meter in height, she has been able to evade discovery with her ability to spin her swirling eyes and her swirling hair, hypnotizing any suspicious individuals into believing she was just a little girl. 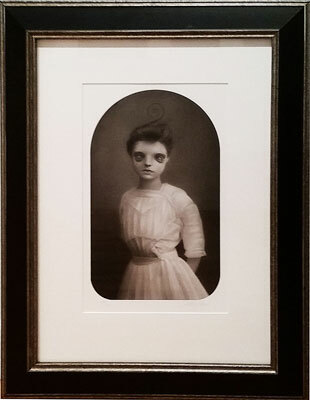 Please note that Hypnodoll is only available framed. All limited edition sales are final.